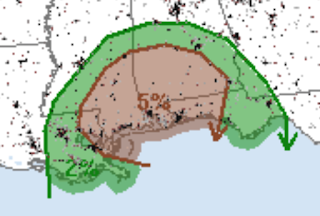 After 12am Central Time there is a risk that the thunderstorms that are now developing along the Gulf Coast will intensify and -- during the night -- could produce a tornado or two as the night goes on. As the warm front moves north, the threat will migrate north, as well. 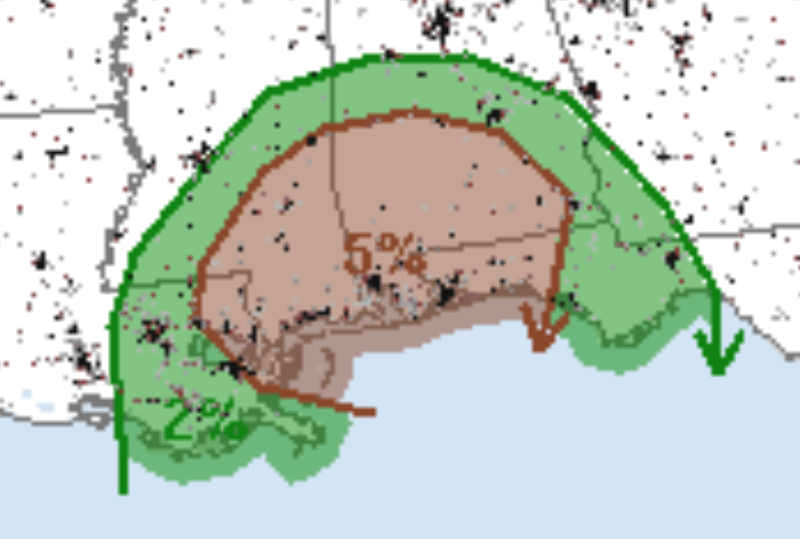 The 5% (brown) area is the area where there is a significant threat. The cities included are Mobile, Gulfport, New Orleans, Hattiesburg, Pennsacola, and Greenville. Note: A much greater threat of tornadoes will develop on Wednesday. Scroll down for details.